In this year’s annual political sessions, proposals on increasing the utilization of ore resources were a top priority. Some mining enterprises’ delegates suggest that the government should carry out some incentive policies to support the companies focusing on mineral resources’ comprehensive utilization. The comprehensive utilization of ore not only can fully save resources, but also can promote ecological civilization construction. Government’s attention to comprehensive utilization of ore will greatly promote the development of the ore processing industry. As the most closely related industry with the nonmetallic ore processing, grinding equipment manufacture becomes more and more important, ant its development has great influence on new materials’ technique and process. 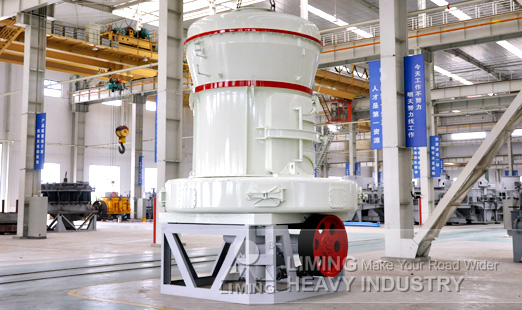 Liming Heavy Industry as a modern joint-stock corporation with research and development, manufacturing and sales together on crushers and grinding mills, owns the newest grinding equipment which enjoys many parented technologies and reaches the international advanced level. Such as the MTW European Type Trapezium Mill, it is the up-to-date grinding equipment designed by our devoted research team, basing on feedbacks and advice from 9518 mill customers and rich experience on mill research. This mill has the patent technology like bevel overall drive, inner automatic Thin-Oil lubricating system, arc air channel, etc. The MTW European Type Trapezium Mill made by Liming Heavy Industry can be fully used on the ore processing.